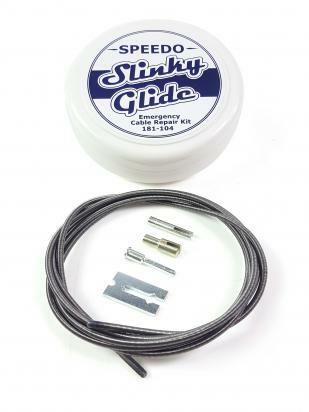 The picture below shows a Cable Repair Kit Speedo And Tacho By Slinky Glide. Thousands of other top quality spares listed on our website at refreshingly low prices. Emergency repair kit for use with genuine outer cable, comes in a handy travel-size container. Suitable for most motorcycle mechanical speedometers.